Ortega, L. (2013). Digital Practices and Literacy Identities: Preservice Teachers Negotiating Contradictory Discourses of Innovation. 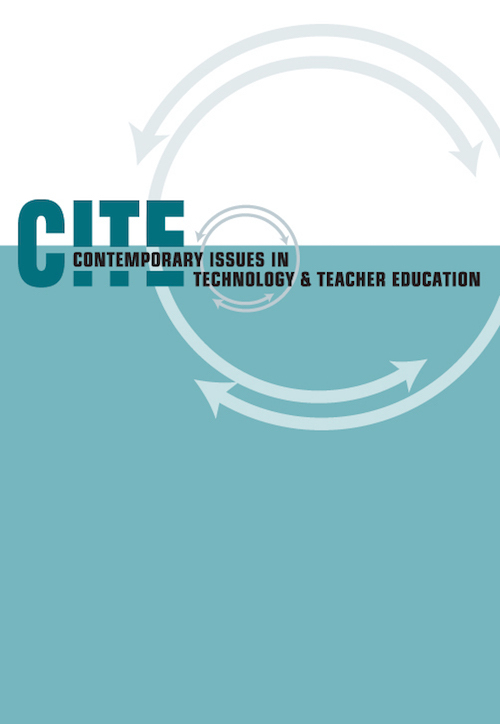 Contemporary Issues in Technology and Teacher Education, 13 (4), 285-324. Waynesville, NC USA: Society for Information Technology & Teacher Education. Retrieved April 24, 2019 from https://www.learntechlib.org/primary/p/39181/. Black, R.W. (2005). Access and affiliation: The literacy and composition practices of English language learners in an online fanfiction community. Journal of Adolescent and Adult Literacy, 49(2), 118-128. Carspecken, P.F. (1996). Critical ethnography in educational research: A theoretical and practical guide. New York, NY: Routledge. Cochran-Smith, M., & Lytle, S.L. (1993). Inside/outside: Teacher research and knowledge. New York, NY: Teachers College Press. Erickson, F. (1984). School literacy, reasoning, and civility: An anthropologist's perspective. Review of Educational Research, 54(4), 525-546. Gainer, J.S. (2010). Critical media literacy in middle school: Exploring the politics of representation. Journal of Adolescent and Adult Literacy, 53(5), 364-373. Gee, J.P. (2001). What is literacy? In P. Shannon (Ed. ), Becoming political, too. Westport, CT: Heinemann. Gomez, M.L., Schieble, M., Curwood, J.S., & Hassett, D. (2010) Technology, learning and instruction: Distributed cognition in the secondary English classroom. Literacy, 44(1), 20-27. O'Brien, T. (1990). The things they carried. Boston, MA: Houghton Mifflin. Semali, L.S. (2000). Literacy in multimedia America. New York, NY: Falmer. U.S. Department of Education. (2004). Toward a new Golden Age in American education: How the Internet, the law and today's youth are revolutionizing expectations (National Education Technology Plan 2004). Washington, DC: Office of Educational Technology. Vygotsky, L.V. (1981). The genesis of higher mental functions. In J.V. Wertsch (Ed. ), The concept of activity in Soviet psychology. Armonk, NY: Sharpe.